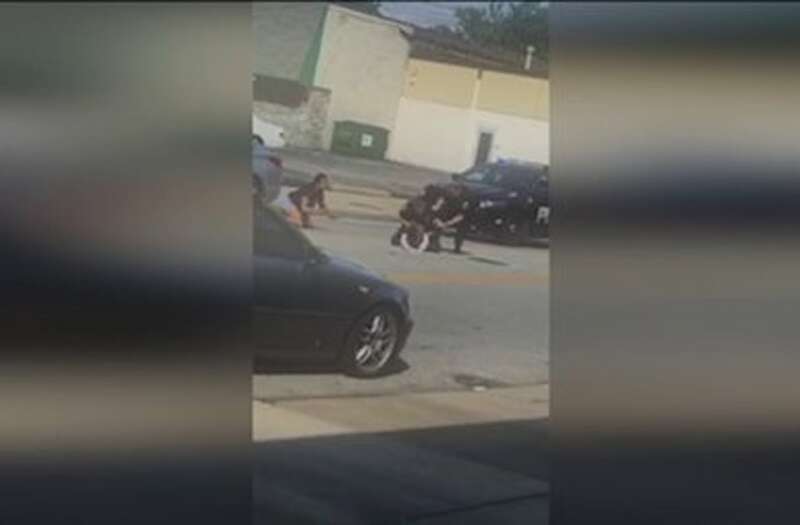 EUCLID, Ohio (WJW) -- Euclid police say an officer caught on camera in a violent arrest has been suspended 15 days. A spokesperson for the department says an internal investigation showed "multiple rules violations." Police say Officer Michael Amiott also must undergo retraining, and he has been removed from the SWAT team. A week ago, Amiott arrested Richard Hubbard III after a traffic stop. Police video and citizen cell phone video shows the stop exploded into a violent struggle. Police said Hubbard resisted arrest. He is facing charges tied to the struggle and driving with a suspended license. Police say the Euclid mayor as city Safety Director could take more action against the officer if she decides to do that. Police say the 15-day suspension was the maximum internal punishment they could administer in this case. Amiott got hired in Euclid after resigning from Mentor Police just before getting fired there for lying about a traffic stop. A crowd of angry citizens filled a meeting at Euclid City Hall this week demanding reform in the police department. Hubbard goes to court Thursday on his charges. And his attorney says he is also exploring a civil suit.